SILT – The Bureau of Land Management is seeking public comment on two potential wild horse gathers planned this summer or fall to help maintain healthy populations of wild horses on healthy lands in Northwest Colorado. In the Little Snake Field Office outside Maybell, the BLM is proposing to gather and remove approximately 514 excess wild horses from the Sand Wash Basin Herd Management Area and adjacent areas using bait and water trapping. The BLM estimates the 2018 wild horse population in the Herd Management Area and surrounding area is approximately 747 wild horses (677 within the area and another 70 outside the Herd Management Area boundaries). The established appropriate management level for this HMA is between 163 and 362 wild horses. For more information and to comment on the proposal, visit go.usa.gov/xqgdt. In the White River Field Office outside Meeker, the BLM is proposing to gather all excess wild horses that are outside the designated Piceance-East Douglas Herd Management Area, including those in the West Douglas area. The BLM could potentially use all approved gather methods, such as bait-trapping and helicopter drive-trapping. The BLM estimates the current population of wild horses outside the HMA to be 374 wild horses. 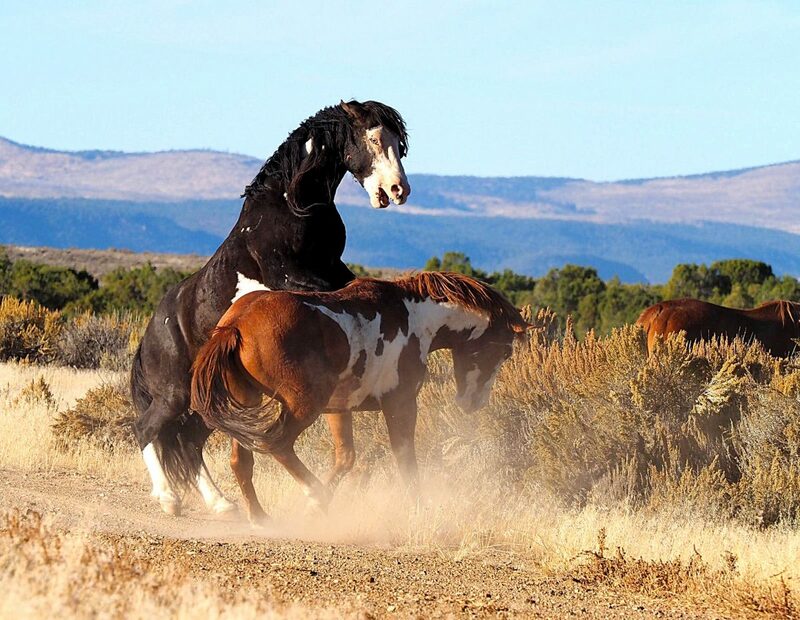 The BLM is prioritizing the areas outside the HMA, though the population within the HMA is 532 wild horses, well above the established appropriate management level of between 135 and 235 horses. For more information and to comment on this proposal, visit go.usa.gov/xqggw. Wild horses removed through this gather will be taken to the Cañon City holding facility and be made available for adoption or sale. Comments should be received by July 5.